Map courtesy of Ski Utah. Courtesy of Ski Utah– Utah’s ski resorts are readying for another successful season full of The Greatest Snow on Earth®. With a variety of new offerings, including new lifts, hotels, restaurants and on-mountain amenities, visitors will find great skiing and riding coupled with unique experiences across the state. The new Snowpine Lodge at Alta complete with its own connecting quad. Alta Ski Area is adding a fixed grip quad chairlift connecting the ski area to the newly expanded Snowpine Lodge. Additionally, the Alta Environmental Center and Alta Ski Area are working towards its energy efficiency targets to meet its 2020 goal of 20 percent reduction in carbon emission. Brighton Resort is one of the newest additions to the Ikon Pass this season. Passholders will get seven days of skiing or riding at the resort. 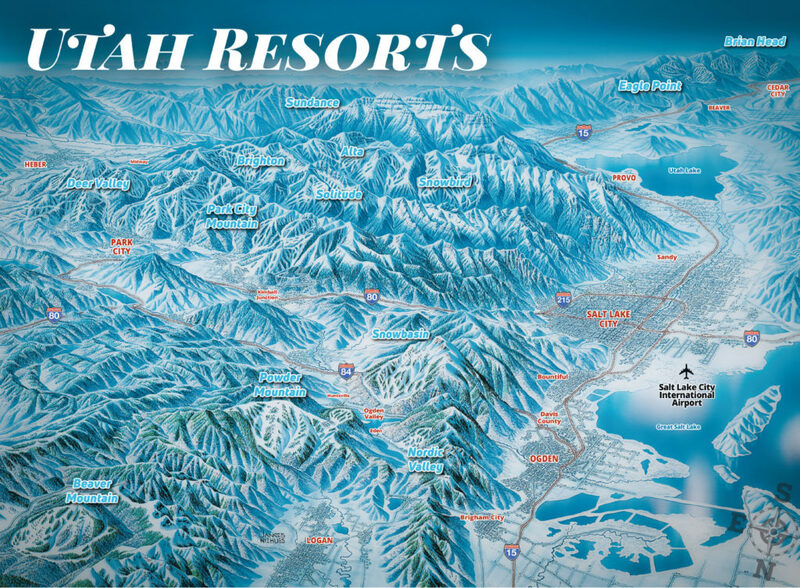 All of Brighton’s terrain is accessible by high speed quads, and the resort has the most night skiing terrain in Utah with 22 runs on over 200 lighted acres. Kids 10 and under ski free. Deer Valley Resort is undergoing its largest capital improvement project in over a decade with $8.1 million in enhancements this season. Most notable is the replacement of the Homestake chairlift with a new, detachable, high-speed quad chairlift. The new chairlift will benefit skiers by cutting ride-time in half and increasing uphill skier capacity by 400 skiers per hour. Additionally, Deer Valley Resort will be enhancing its snowmaking systems, adding a new snowcat to its fleet, updating rental shop equipment and upgrading various day lodge facilities across the mountain. Skiers who purchase a Deer Valley Resort season pass by December 15, 2018 will receive a complimentary Ikon Base Pass. Deer Valley is one of five Utah resorts included on the Ikon Pass this season. 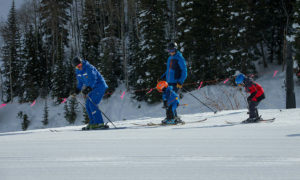 For more information, visit seasonpass.deervalley.com. Eagle Point Resort is adding the resort’s first-ever snowmaking system slated to be in operation for the 2018-2019 season. The installation is in alignment with the bold Vision 2020 plan announced three years ago to expand resort amenities, improve on existing facilities, and develop additional lodging and home ownership options while maintaining the distinguishing charm and aesthetics of the resort and surrounding area. The new system will first focus on the learning areas and many of the popular trails serviced by the Monarch Lift, including the terrain park which will amplify feature development capabilities. The system lays the groundwork for future expansion across the resort’s 650 total acres. The resort is also adding high speed internet in lodges and Wi-fi hotspots around the resort. Nordic Valley recently announced a proposal to expand the resort. With a focus on sustainability and environmental stewardship, the proposed expansion would take the resort from 140 acres to over 2,800, including a new 4.3-mile-long gondola connecting North Ogden to the existing Nordic Valley base area. In addition to offering direct-to-resort access in a scenic 12-minute ride, the proposed gondola would also help cut down on canyon traffic and vehicle emissions. More information on the project can be found at nordicvalleyproject.com. Debuting this season at Park City Mountain, the new High Meadow Park at Canyons Village will offer guests a dedicated learning area designed exclusively for beginner skiers. The existing High Meadow four-passenger lift will be replaced with a high-speed, four-passenger lift, increasing uphill capacity by 50 percent and shortening overall ride time by 70 percent. High Meadow Park will also feature a Candy Cabin that beckons guests to savor a sweet treat and chocolates during a rest break. Park City Mountain is also adding new snowmaking to High Meadow that will help maintain an ideal snow surface for beginner skiers and snowboarders. Snowmaking will also be added to Red Pine Road, a major intermediate connector trail off of Tombstone Lift. The addition of snowmaking on this trail will enable the resort to open Tombstone Lift earlier in the season. 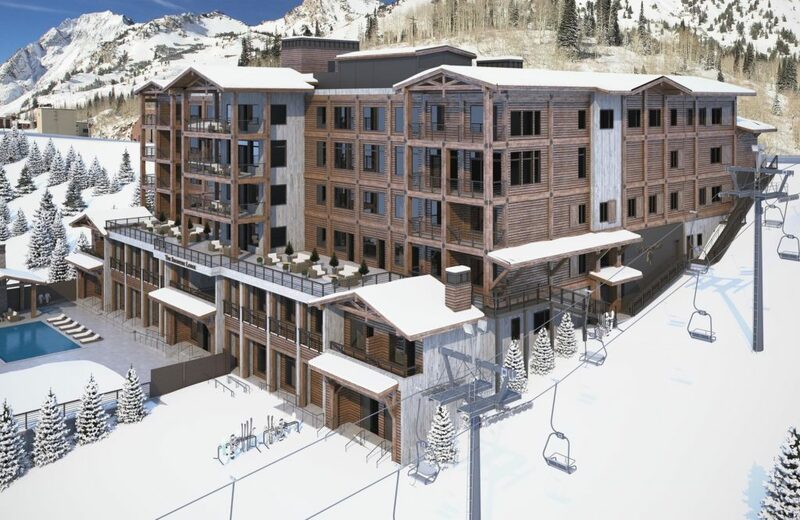 The renovation of Earl’s Lodge, located at the base of Snowbasin Resort, will increase seating capacity in the Cinnabar by 50 percent. This first phase of this renovation is the precursor for expanded seating in both the Huntington Room and Main Dining Room. Snowbasin’s mountain operations team worked over the summer grading and widening the existing Mt. Ogden Bowl Road, creating a more consistent pitch that will enable earlier grooming in the season to provide beginner and intermediate level skiers and riders with a better experience coming down from John Paul Lodge. 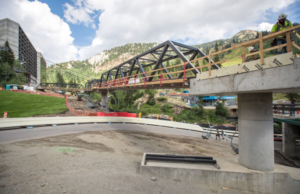 This summer, Snowbird installed two pedestrian bridges allowing for easier access to The Cliff Lodge, Snowbird Center and Lower Village. From the base of the Peruvian Chair, the 70-foot Peruvian Bridge will provide direct and easy access to the Aerial Tram. The Chickadee Bridge will cover the entire expanse of lower Chickadee trail. 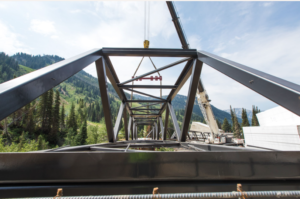 Spanning 491 feet in length, the trestle-style bridge will allow for easy foot-traffic along the covered walkway while guests ski underneath. The renovation of the Snowbird Center will add a 1,700 square feet guest lounge on Level 2. A new Smart Wall features real-time Snowbird informational displays as well as charging stations for phones and cameras. Directly down the hall from the new guest lounge area are newly expanded restrooms with additional stalls and hand dryers and an additional family restroom. Just up the flight of stairs, guests will enjoy drinks at The Forklift’s new outdoor bar. Construction of a new restaurant and additional conference space has begun on the west side of The Cliff Lodge. This family-friendly restaurant provides unobstructed mountain views, tiered seating and an outdoor patio with fire pits. The project also includes additional interior and exterior event space for private functions. The Cliff Lodge West Wing Addition has an estimated completion of Winter 2018-19. Utah native and two-time Olympian Jared Goldberg was recently named official Ambassador of Speed for Snowbird and credits his focus on the race hill to the experiences at Snowbird that instilled a life-long love of skiing. The downhill national champion got his start at Snowbird when he was four years old and plans to compete at the next Olympic Winter Games in 2022. Solitude Mountain Resort is one of the newest additions to the Ikon Pass. Solitude is just over 30 miles from the Salt Lake City airport, making it one of the closest ski resorts to this major metropolitan hub, yet it still lives up to its name with a peaceful atmosphere and feeling of being away from it all.